College classmates spend a lot of time together in class and study groups each week, and it's easy for one classmate to begin liking another in a romantic way after a while. It is important to notice signs that a classmate is beginning to like you, so you can decide quickly whether you would like to encourage a romantic relationship or make it clear that you want to keep the relationship on a "strictly classmates" level. College classmates sometimes form romantic relationships. Pay attention if your classmate starts sharing personal, emotional information with you. If he shifts the conversation from geometry to his parents' hurtful divorce or his deepest fears, his increased vulnerability may signal a romantic interest in you. Notice when your classmate becomes ultra-eager to help you out with hard assignments or offers to do difficult things for you outside of the classroom. If he jumps up and offers to handle your next oil change or says he'd be glad to do extra research so you can rest over the weekend, he may have a crush on you. Listen to verbal clues, such as when your classmate begins prying into whether you have a significant other. If your classmate starts asking whether you have a relationship and whether you are happy with it, he is probably itching to be your next significant other. Pay attention to nonverbal communication, such as if your classmate's hands linger a few additional seconds every time he touches you. If he clasps your hand when you are attempting a high-five, he's likely into you. 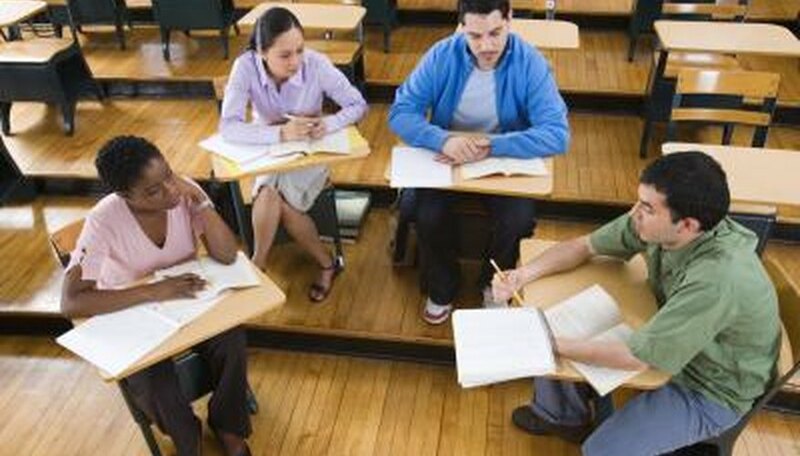 Pay attention to how your classmate treats the other people in your study group or class when they talk with you. If he seems to get jealous or a little possessive, it's another sign that your classmate may have romantic feelings for you. There are exceptions to every rule, and you should remember this if you think a classmate is starting to like you. If the individual is only exhibiting one or two of these signs every now and then, you may be embarrassed when you address the issue of romance. Only confront the issue if the signs are clear and consistent. Morgan, Sarah. "How to Know If a College Classmate Likes You." Dating Tips - Match.com, https://datingtips.match.com/college-classmate-likes-12118479.html. Accessed 21 April 2019.